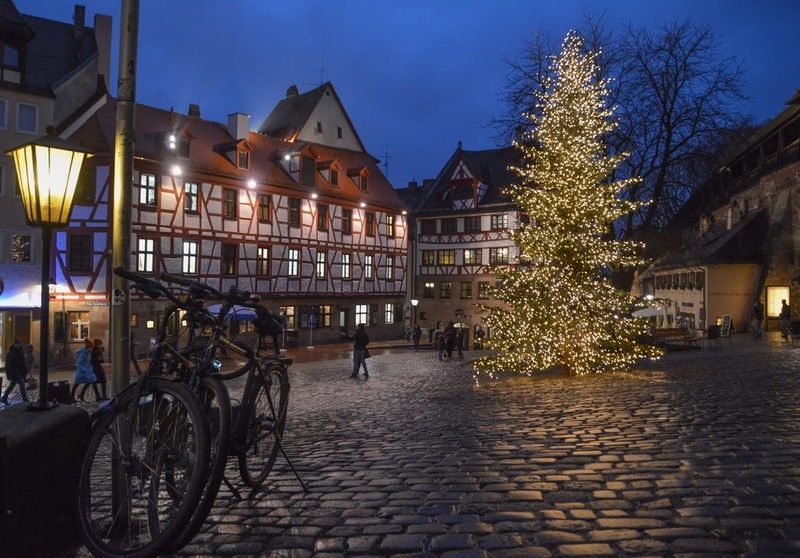 There’s no secret that Germany knows how to celebrate Christmas. After all, they invented Christmas markets, Christmas tree and the Santa Claus himself! So if you are looking to get into Christmas spirit this is the place to visit. 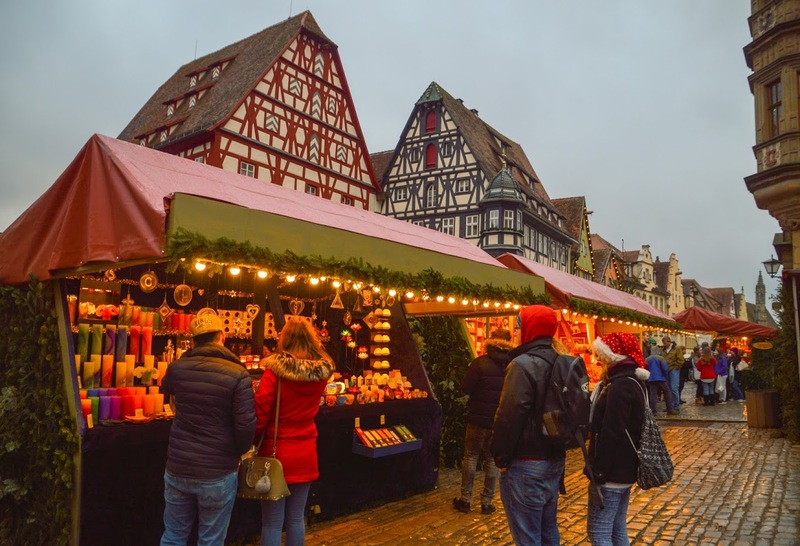 Though with hundreds of Christmas markets across the country, how can one choose which ones to go to? 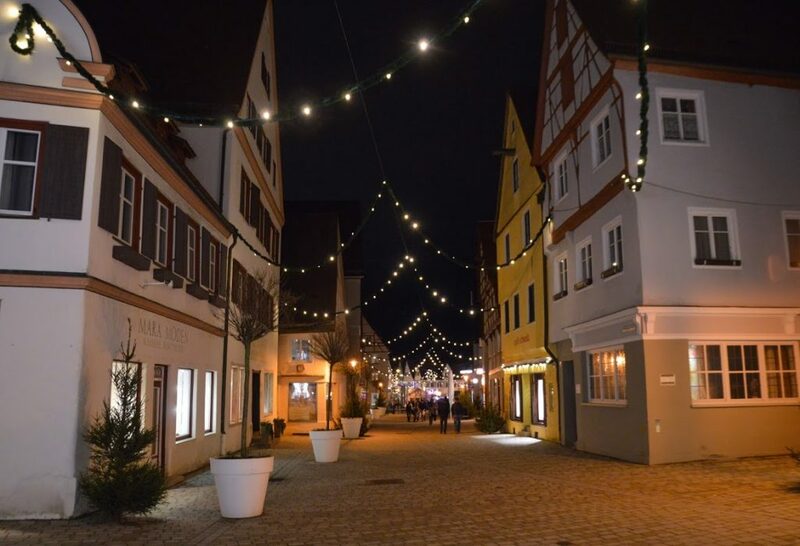 If you are looking for markets nestled in picturesque “gingerbread” towns then Romantic Road (Romantische Straße) is the answer! 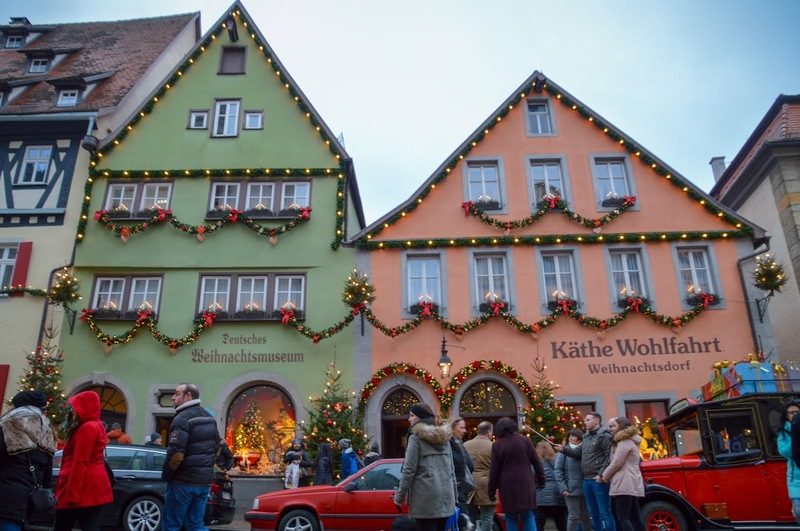 Last year, my husband and I, went to 5 Christmas markets along the famous Romantic Road. 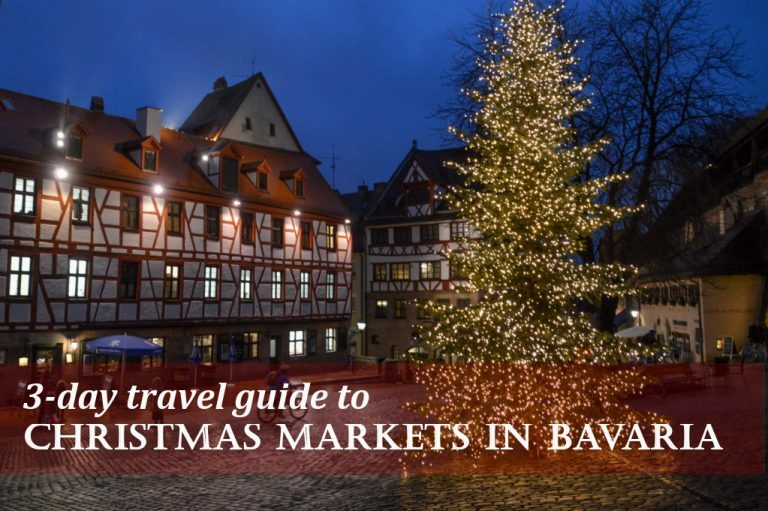 So I decided to share my experience and create a 3-day travel itinerary focused on Christmas markets. Besides practical travel tips, I have also added my honest opinion about each of the markets we visited. To get into the Christmas mood! 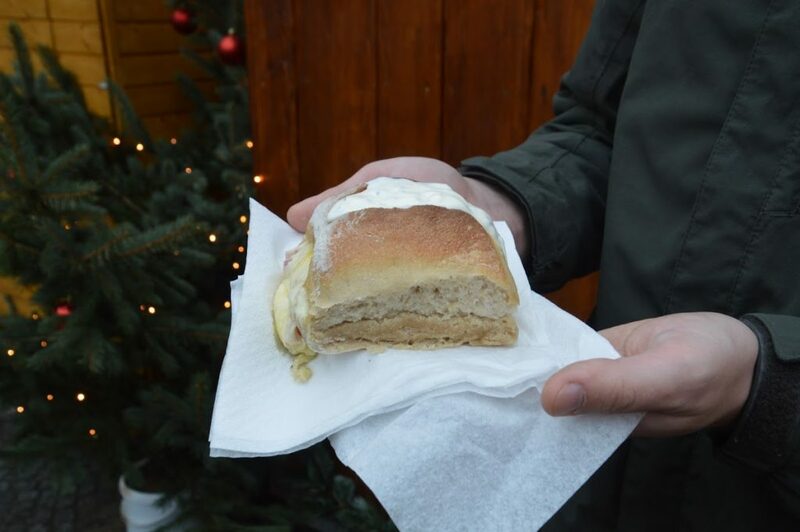 And of course, to drink loads of cheap mulled wine, eat delicious cookies and other amazing things. Perfect for a short 3-4 day family trip. But can be extended to a one week adventure. 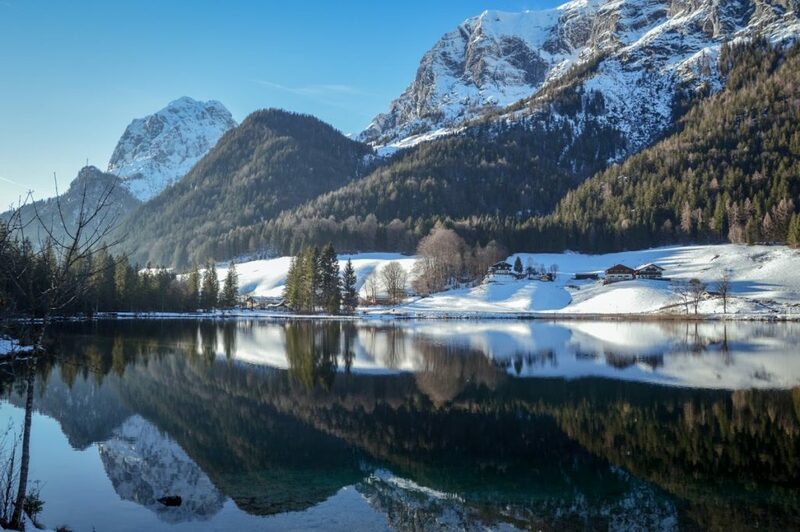 If you are looking for an easy road trip that has more focus on picturesque towns than nature. It is possible to use public transport to commute to some of the smaller towns. 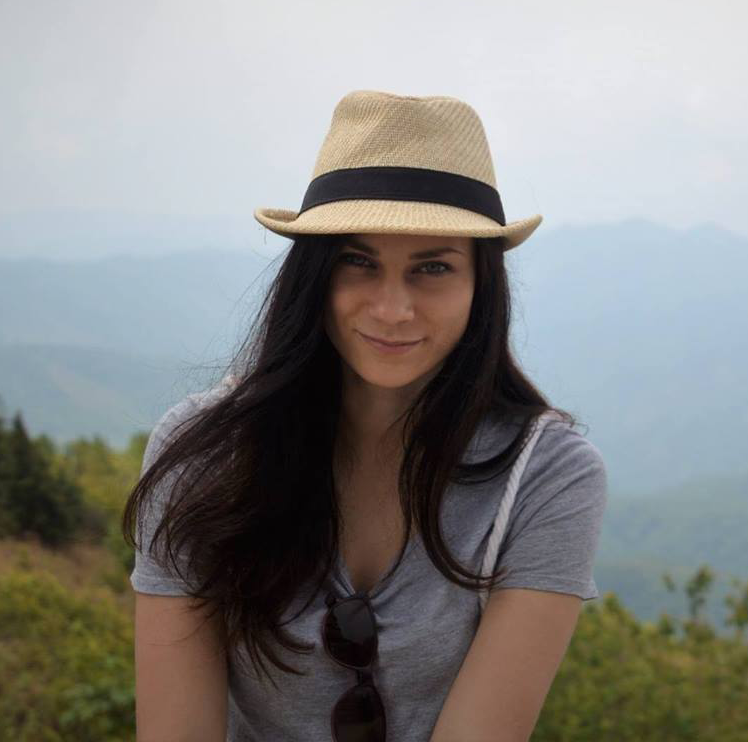 However, to save time and see more markets it is essential to have a car on this trip. 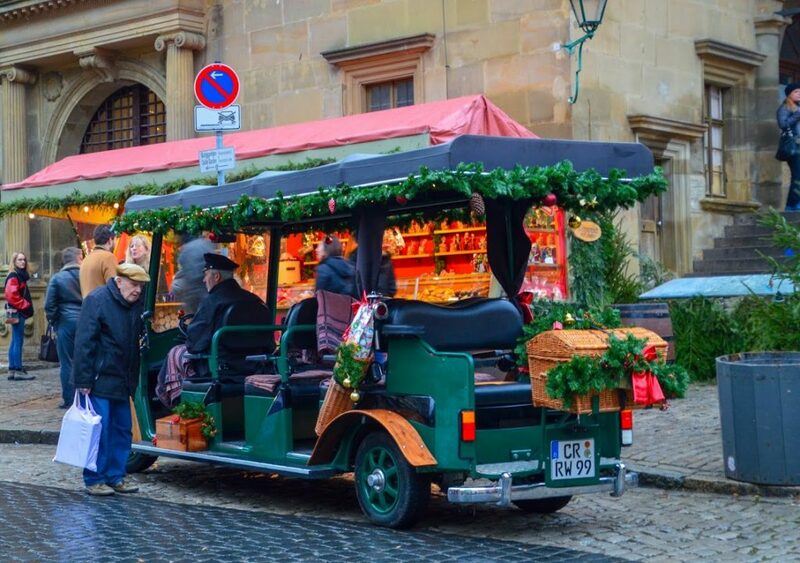 The bad news – somebody needs to drive and won’t be able to drink mulled wine during the day. Overall, German roads are easy to drive. 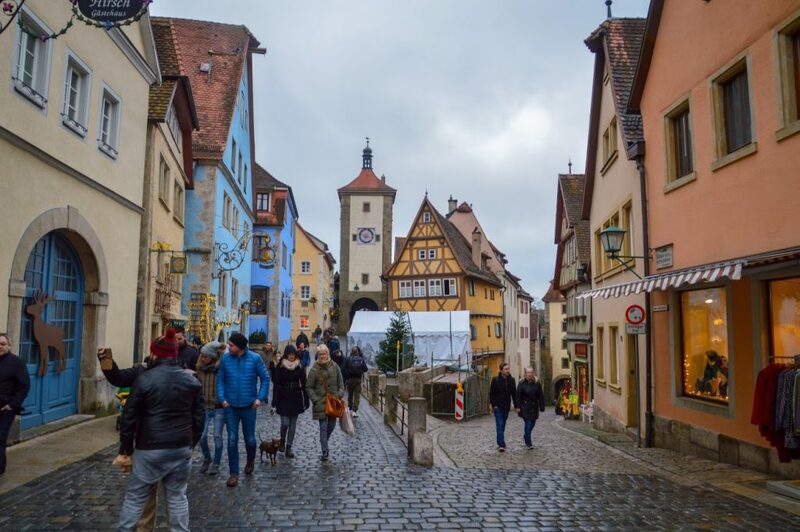 But keep in mind, that Romantic Road has received its name from its beautiful “gingerbread” towns and not the road itself. 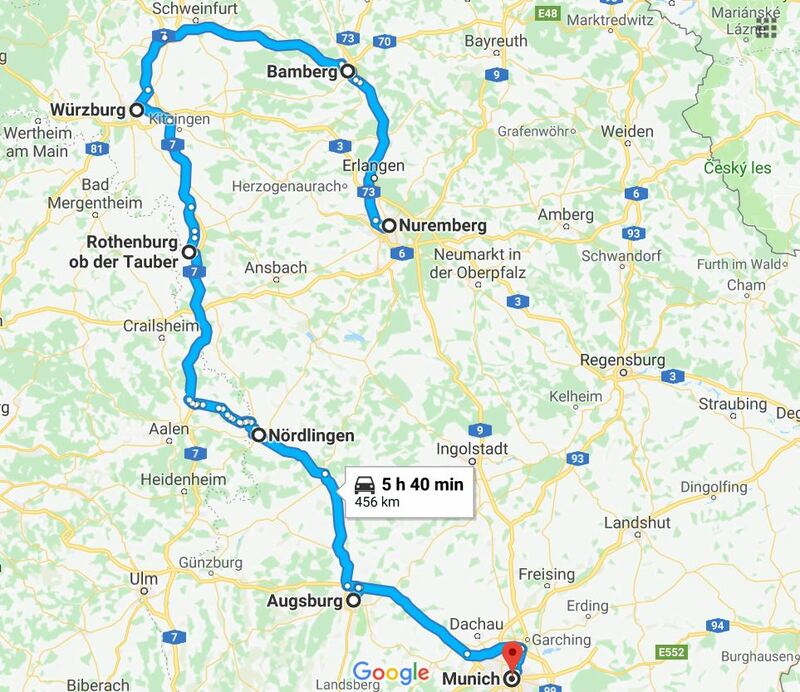 If you are flying into Germany then Nürnberg (also called Nuremberg) is the perfect place to start the trip. The U-Bahn train from the airport to city center takes only 15 minutes and you can easily spend a whole day in Nürnberg. 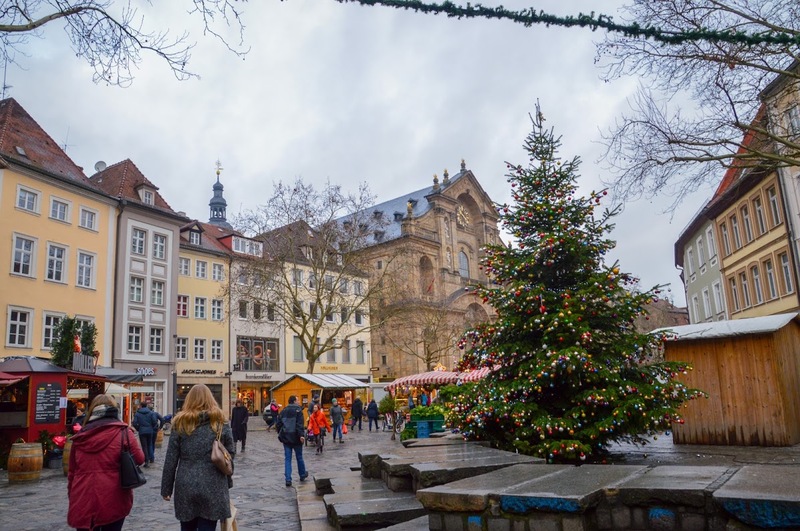 The old city is charming and The Christmas market is one of the biggest and oldest in the whole country. 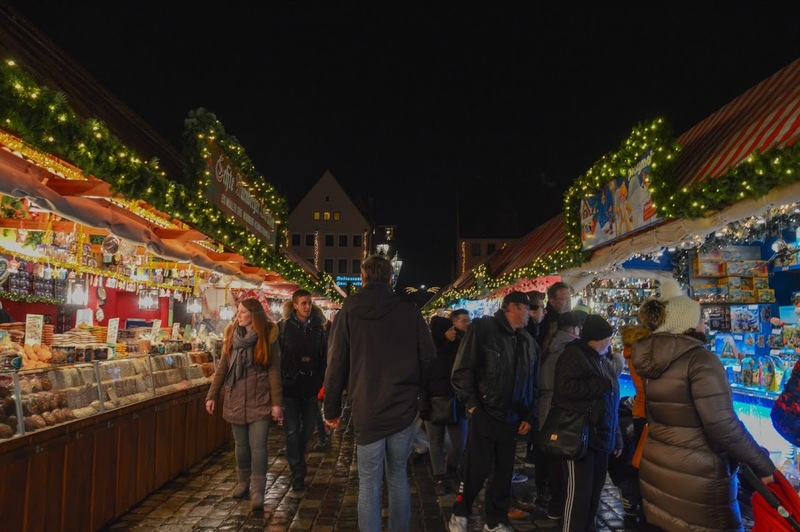 NÜRNBERG CHRISTMAS MARKET From 30.11. to 24.12.2018. I found the market overwhelmingly crowded. It was difficult to move around and enjoy the place. The prices were quite high compared to other markets and the food was average. Some of the hot drinks had a really bad taste…Despite this, I really enjoyed the old town. 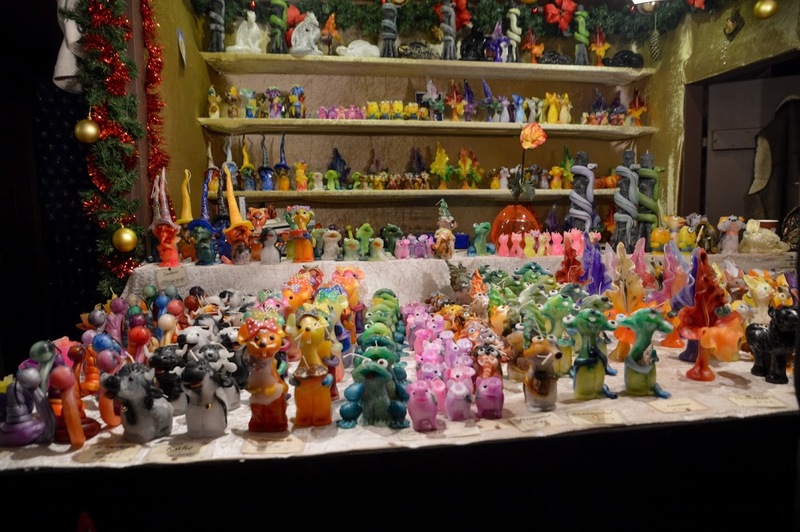 Also worth noting that there was a separate kids’ market on one of the side streets. 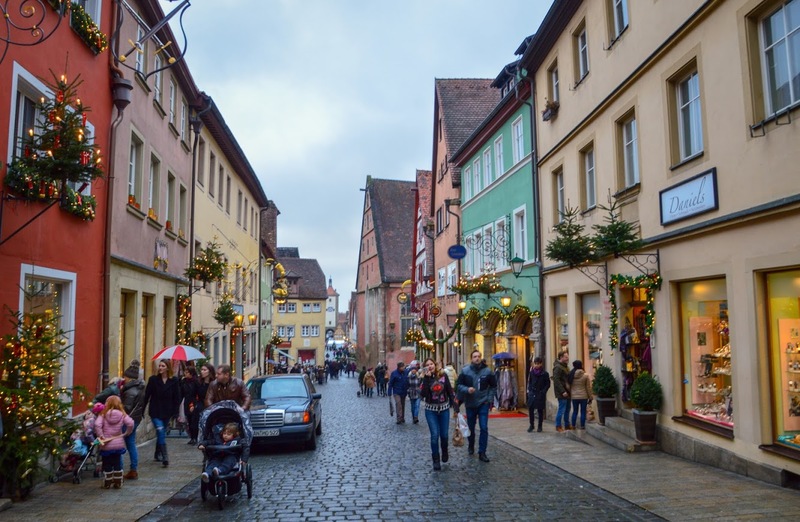 Nürnberg is a wonderful city to walk around and get lost in. 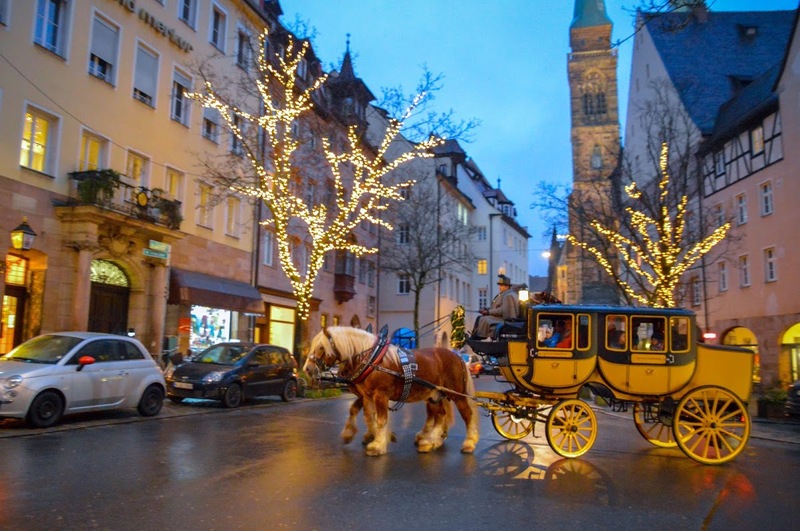 For more spectacular sightseeing option take a ride in a horse carriage. If you have extra time then visit the castle. 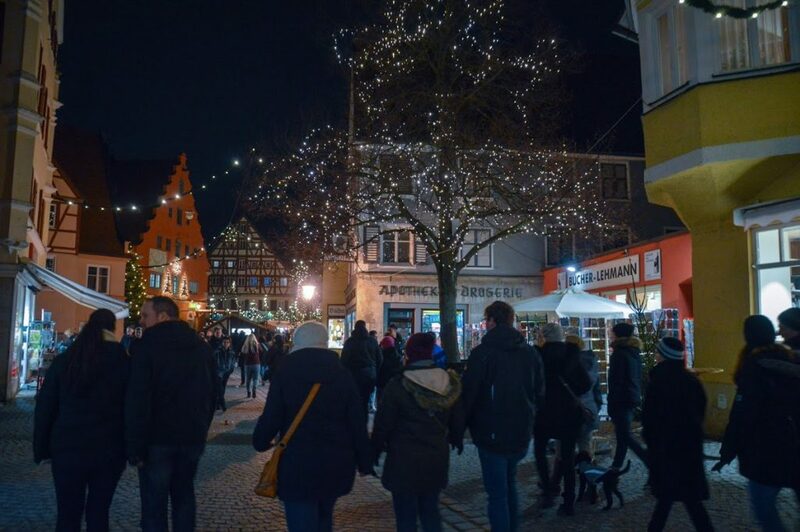 During the next 2 days, visit 6 Christmas markets (3 per day). 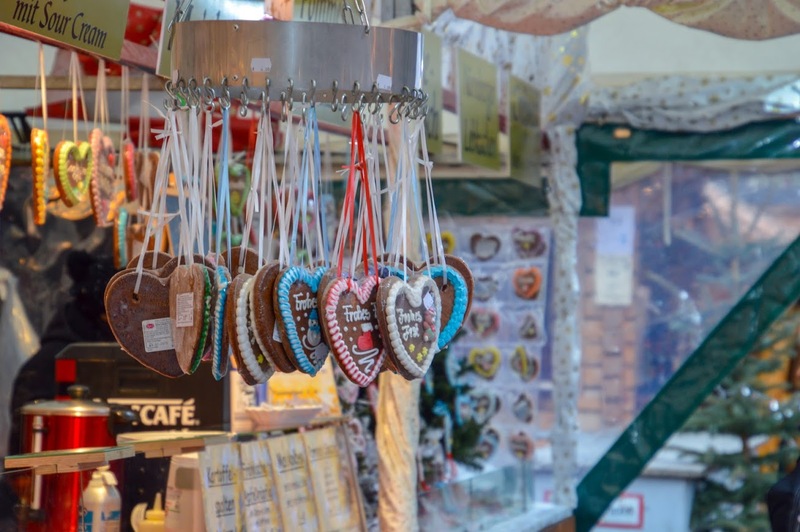 Though if you are lucky to have more time to spend on this trip then consider doing 2 markets a day. 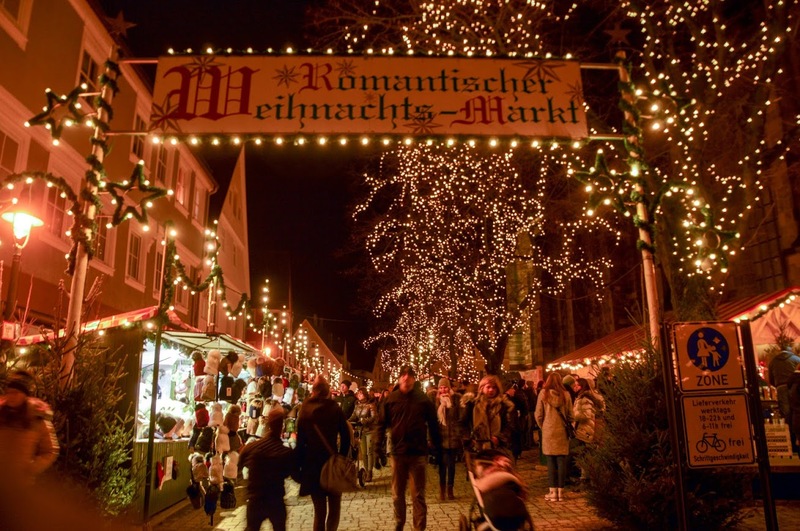 BAMBERG CHRISTMAS MARKET From 22.11. to 23.12.2018. Although we visited this place in the morning I loved the ambiance of it. The market is quite small but offers a huge variety of drinks and food choices that other markets didn’t have. This place is famous for its Nativity scenes. I give it 4 stars and not 5 because half of the square was empty without any stalls. 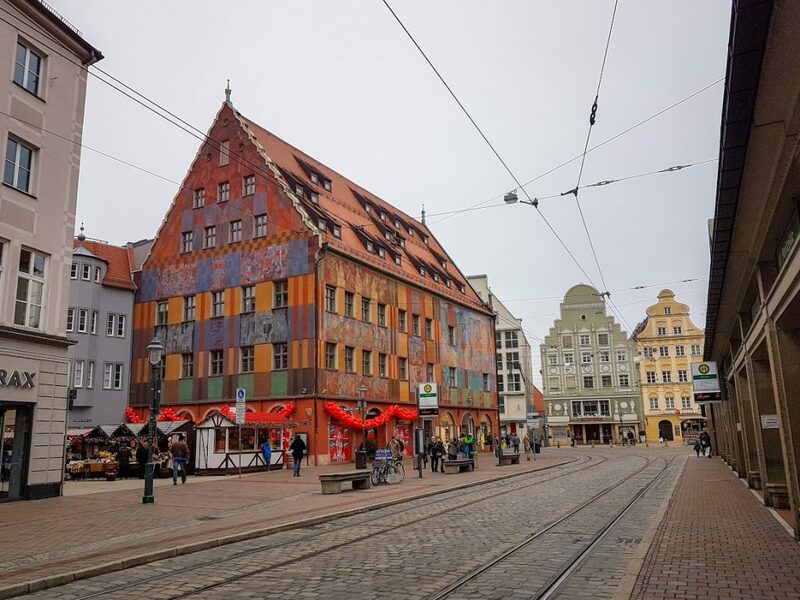 A beautiful market nested in the city’s Marktplatz. This place has it all – food, drinks, gifts. And all for a very good price! 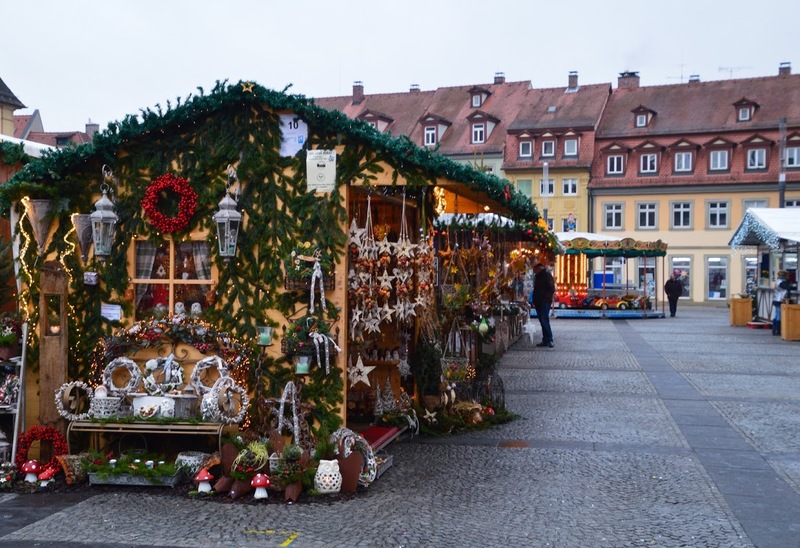 During advent weekends there is a special Christmas Craft market located in the town hall’s courtyard. If you have more time to spare then visit Fortress Marienberg. The market is small and can get quite packed with day tourists. Though prices are reasonable considering how big of an attraction this place is. Because I loved this town I really wanted to buy its mulled wine mug, but I was very disappointed to discover it to be very generic and ugly. 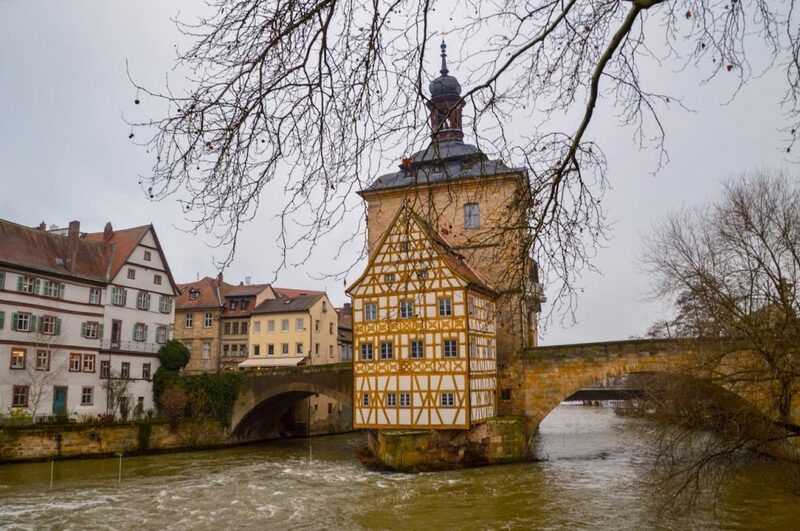 Nevertheless, this town is one of the most scenic spots in all Germany. And, visiting it during Christmas time just adds that extra sparkle. I would actually say it’s the most “Christmassy” town I’ve ever seen as the whole town is dressed in Christmas decorations. To make the most of the place, I would suggest spending a night here. 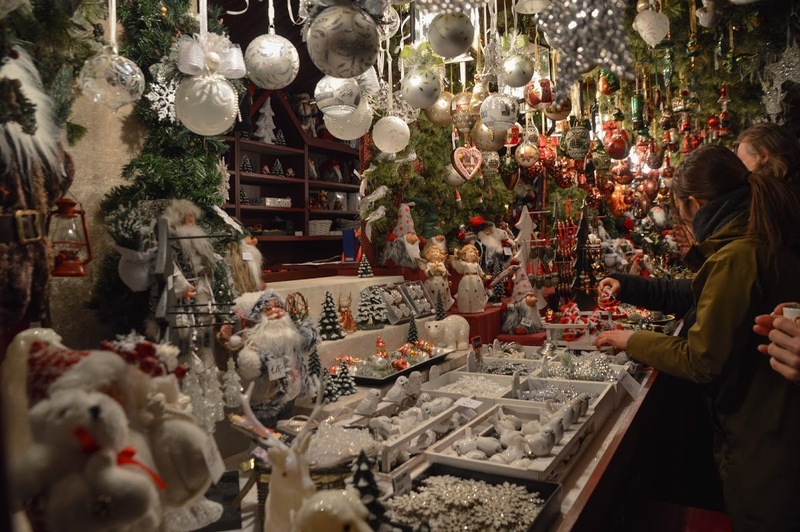 Make sure you visit the famous Käthe Wohlfahrt’s Christmas shop and museum. Also, walk the city walls to get a beautiful view on the town. 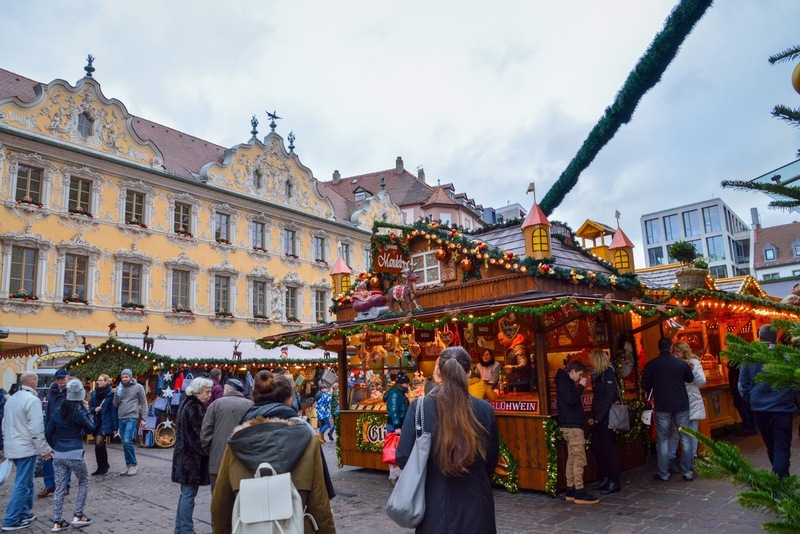 During this day visit 3 more Christmas markets. 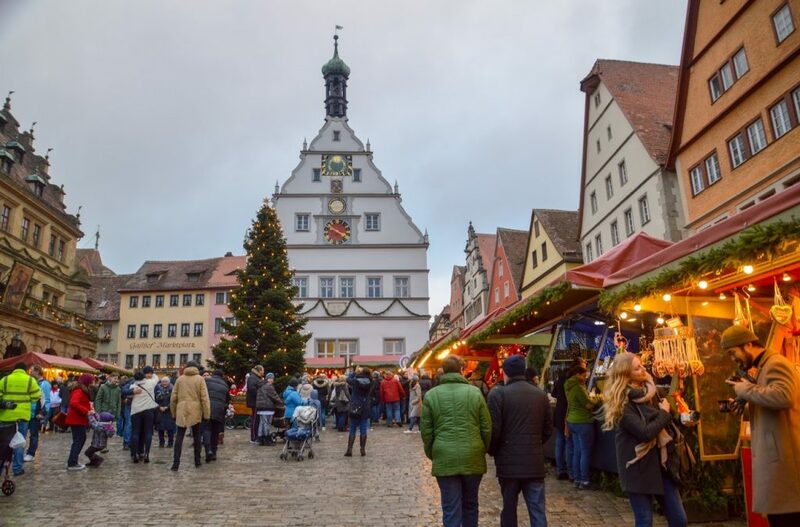 NÖRDLINGEN CHRISTMAS MARKET From 30.11. to 23.12.2018. 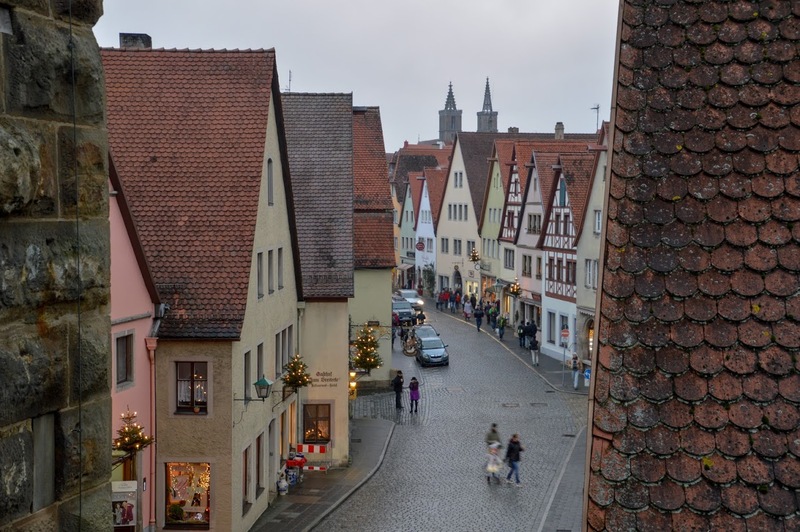 Another beautiful town filled with brown-roofed houses. 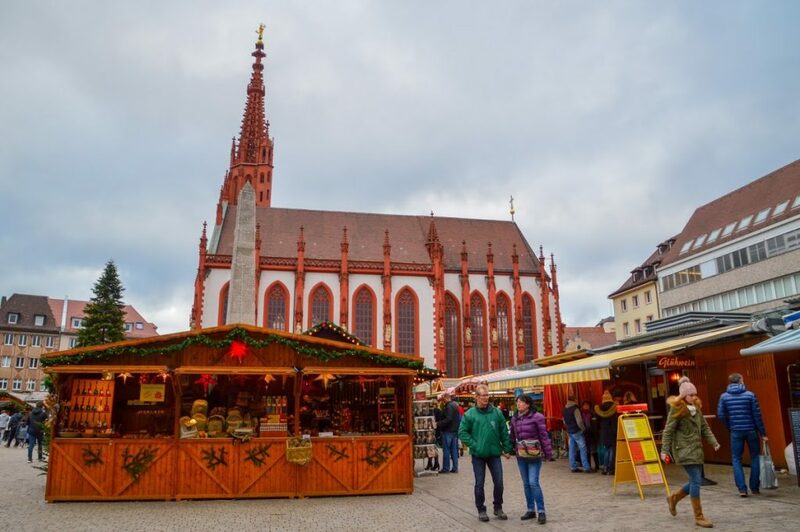 The best part – you can climb Daniel Kirchturm to get a lovely view over the town and it’s Christmas market. We visited this town in the evening so didn’t get a chance to climb the tower. Yet, I really loved this market – it was full of locals and not many tourists. Delicious food and great choice of drinks. 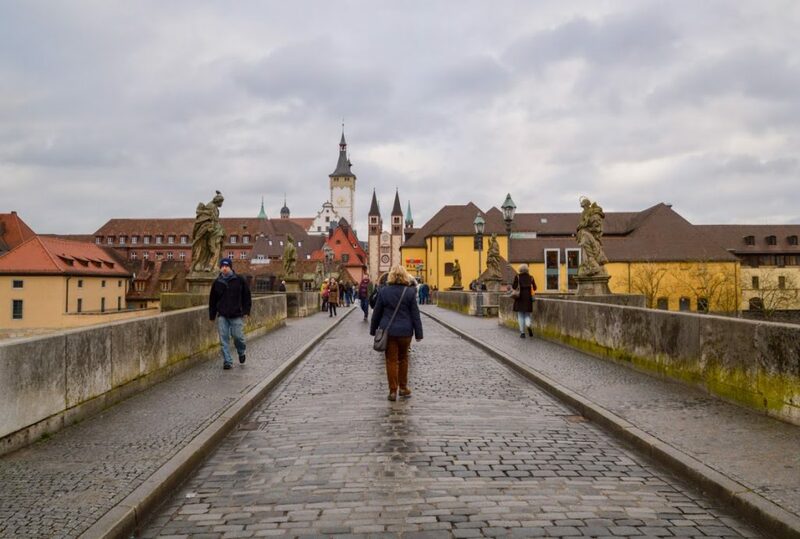 If you have enough time – walk the town’s walls. 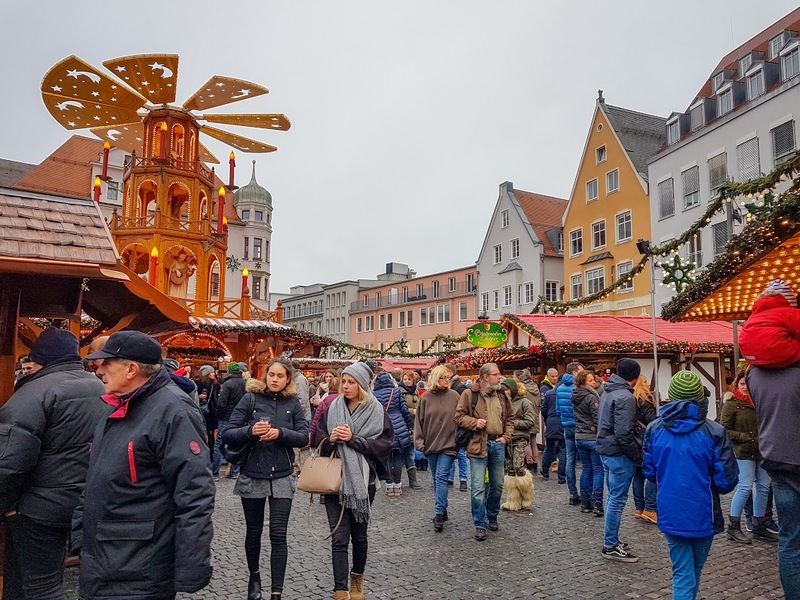 AUGSBURG MARKET From 26.11. to 24.12.2018. Augsburg’s market is famous for its angel performance, where every Friday, Saturday and Sunday 24 angels appear in the city’s town hall and transform it into a giant advent calendar. Unfortunately, we didn’t see the performance but the market itself is big and has loads to offer. There’s also plenty of events going on. 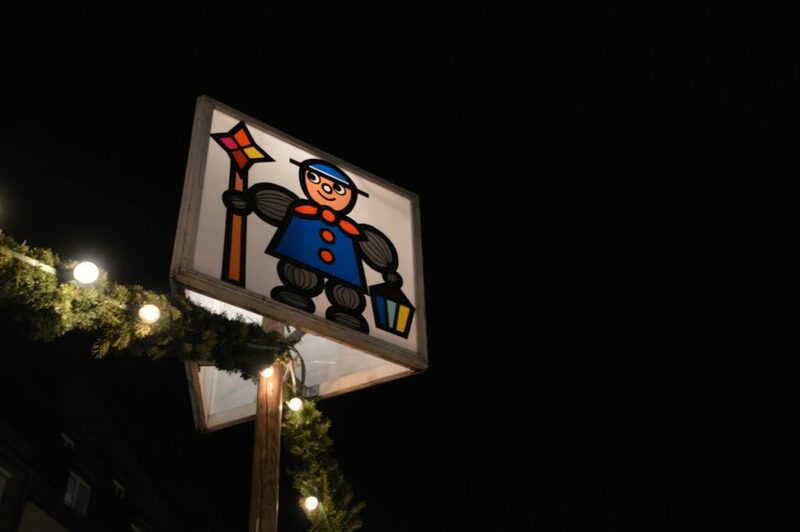 Munich has various Christmas markets throughout the city. Sadly, this time, we didn’t have enough time to visit it as we were heading towards Königssee. Though, if you plan your travels accordingly you might see Krampus run through the city! This year runs are scheduled for December 9th (3 to 5 pm) and December 23rd (4 to 5 pm). 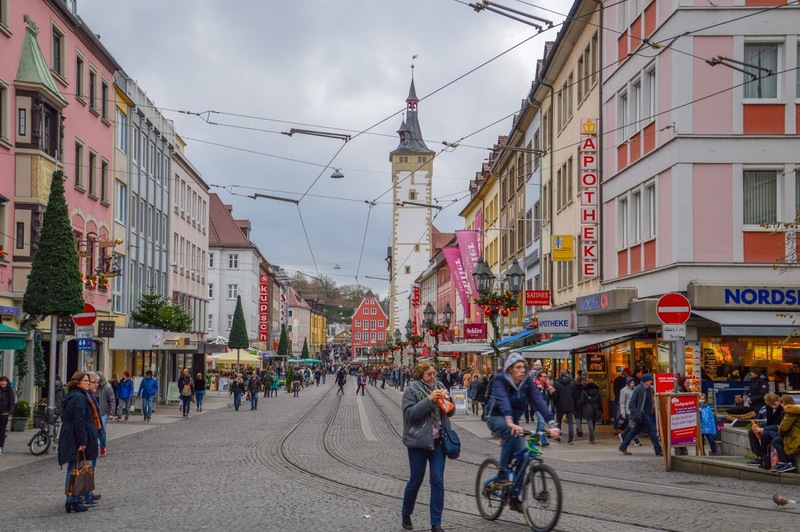 More time to spend in Germany? 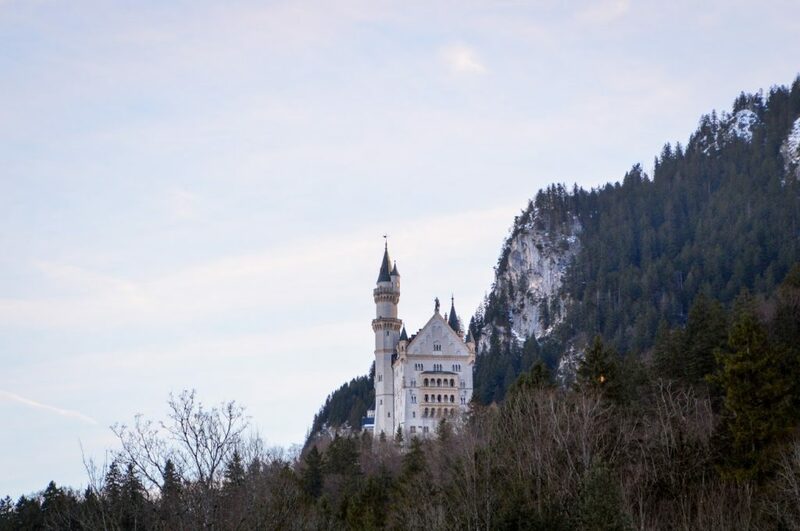 Visit Neuschwanstein Castle [Travel guide coming soon]. 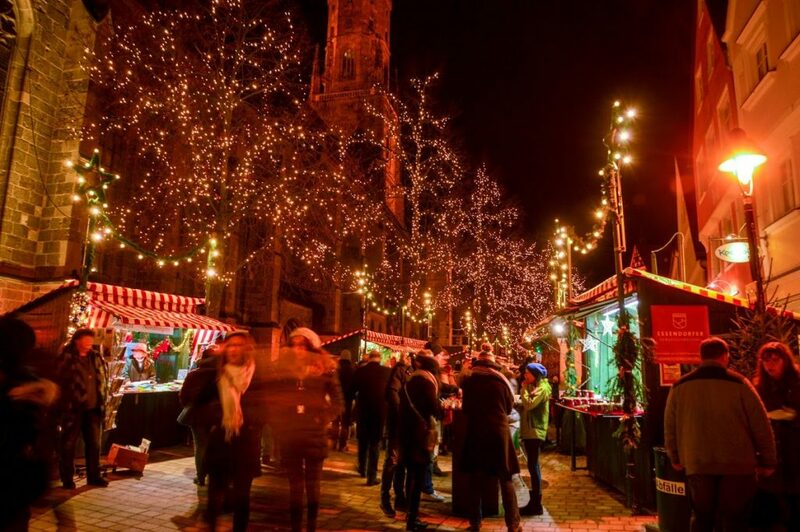 Bear in mind that most Christmas markets are open only until 23 December. 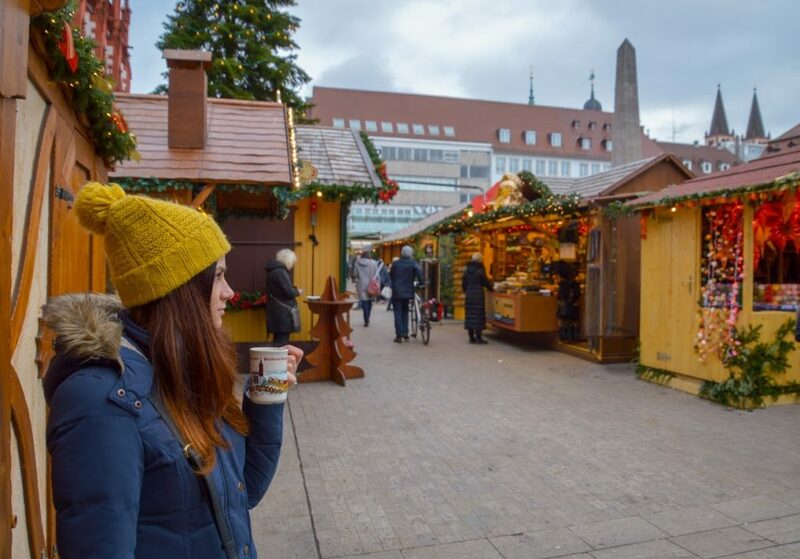 Hence, the best time to visit German Christmas markets is before the actual Christmas. Collect mugs! Each market has their own style of mugs for hot drinks. These can make a perfect souvenir or even a gift. You can buy them for 2-4 Euros each. Dress warm! Thermal underwear and a good winter coat is the best option.